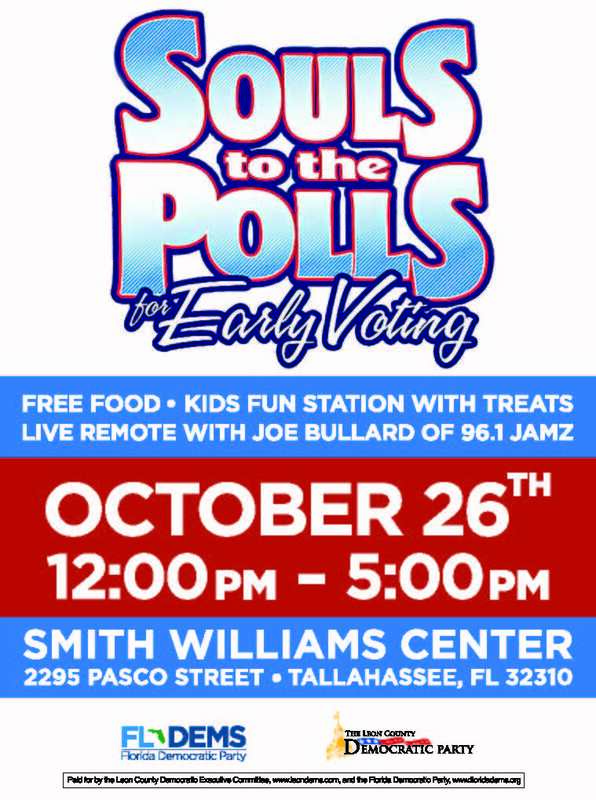 Cast your early vote in the November general elections, and enjoy free treats, a kid’s fun station, and a live remote with Joe Bullard of 96.1 Jamz! The event will be at the Smith Williams Center, 2295 Pasco Street, from 12:00 – 5:00. Early voting in Leon County begins Monday, October 20, and ends Saturday, November 1. For a list of early voting locations and hours, visit the Supervisor of Elections website at www.leonvotes.org.